Are you new to the Australian business world? Do you want to figure out a way to take your business to the next level? Well, the objective is now achievable provided you figure out the essential aspects that can strengthen your business. For example, you need to realize the force of social media. What you need to keep in mind is that social media has the ability to compel and convert. As an entrepreneur, you need to cash on this aspect if you want your business to flourish. What is essential to remember is that priority given to the world of social media continues to grow. Your goal should be to reap the benefits of social media so that it becomes easy for you to take your startup business to the next level. Now, the choice is yours, you can either embark on this quest alone, or you can seek the assistance of a reliable digital marketing agency. For example, Edge Online are a digital marketing agency in Australia that delivers what you need. 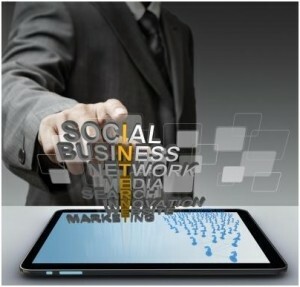 However, we will also give you a roadmap to cash on the power of social media. It is understandable that when you start your business, then you do not want a lot of liabilities, and want to manage most of the tasks. The good news is that if you have a clear strategy in hand, then you can take charge of social media marketing. Setting Your Objectives for Your Social Media Marketing Strategy. The first step is that you have to set your goals. You have to specify the outcomes that you wish your actions to achieve. You need to have the answer to what you wish to achieve through your social media marketing strategy. You can get this answer through two different stages. The stage one should comprise the high-level goals. Well, this means that you need to define your objectives simply and concisely. When you have the basic guidelines, then it will become easy for you to go in-depth regarding your objectives. Do not lose yourself in the granular metrics. You have to look at the bigger picture. When you set your high-level goals, then you are ready to proceed to the next stage that is stage two. In this stage, you will look at the detailed objectives. Let us assume that your high-level goal is to general more leads. The detailed objective here is how many leads you wish to generate. When you go into the detailed objectives, then it will help to add a structure to your social media marketing strategy. The benefit of this practice is that you can underpin the strategy with your actions, and this will resonate with the potential clients. Add Substance to Your Strategy Through Quality Content. What your social media marketing strategy needs is well-crafted content. You can add creative stock imagery to your post. Try to maintain a consistent tone while putting up the content of your posts. Try to establish your brand voice, and once you get done with this, try to use the format that best fits your needs. Create a content calendar to decide a schedule regarding your content publishing. When you are a startup, then you have limited resources. In this situation, it is crucial to know what will work for your social media strategy, and what will not. Gain an insight into how your competitors are enjoying social media success. It will not be a bad idea to conduct an audit to get a better understanding of your target audience. Plus, you will also get a clear picture about your position in the market. The smart move is that you should try to bench yourself against your competitors. As a result, it will become easy for you to optimize your social media marketing strategy. Make use of social listening to identify which of your posts got shared the most. If you feel that your video content is doing better than textual content, then switch to visual content right away. If you follow these simple guidelines, then your social media marketing strategy is bound to be a success, and you will expand your customer portfolio in no time.